Hong Kong is a region and a city-state situated in the South China Sea and is geographically enclosed by the South China Sea and the Pearl River Delta. As recently as 1997, the region and the city was part of the UK and China obtained sovereignty over the region again, only in that year (1997). 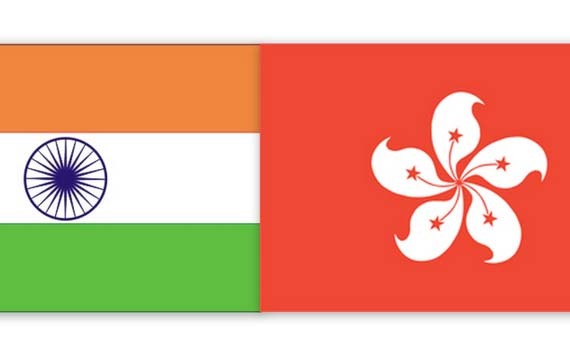 Politically, the region is referred to as the HKSAR and it has a lot of autonomy from China. Hong Kong’s economy is dynamic, market-oriented and it also has a deep, natural harbor and all of these together make it a good choice to be a trading hub as well. The city is dominated by skyscrapers. The attractions of Hong Kong are many and they include its ‘free market economy’, low taxes, high standards of living, transparent and good governance, high per capita income, excellent education provided at zero cost or low cost, dynamic, open and free society, quick processing of permanent residency application, its many tourists attractions – natural and man-made, etc. All of these aforesaid, make Hong Kong an attractive destination for aliens including Indians to visit the region/city or even migrate to it. A lot of aliens from different countries migrate to Hong Kong, but its majority domestic population is of Chinese descent (about 93.6% of them). Hong Kong though does not allow mainland Chinese people free entry into its territory and they would need a permit to entry it. Hong Kong also offers a permanent residency permit which allows an alien to migrate to Hong Kong, which is known by the name ‘Quality Migrant Admission Scheme’ (the Scheme). This scheme for immigration to Hong Kong is quota-based and has the objective of selecting talented and skilled persons/people to immigrate to Hong Kong. Under the ‘Quality Migrant Admission Scheme for immigration to Hong Kong, an applicant must i) firstly meet a number (i.e. if he/she satisfies a number of) of ‘prerequisites’ and ii) he/she must also pass one/either of two points-based tests: General Points Test, or Achievement-based Points Test. The prerequisites of Hong Kong QMAS (or, its permanent residency, or immigration scheme) are criteria including age, financial requirement, good character, language proficiency and basic educational qualification. As for the age criterion, the applicant must be above 18 years of age. As for the financial requirement for migrating to Hong Kong, he/she must be able to provide evidence that he/she can support himself/herself during his/her stay in Hong Kong. Under language proficiency criterion for immigration to Hong Kong, he/she must show that he/she is proficient in Chinese or English (for either of them, i.e. written or spoken abilities). The applicant for migration to Hong Kong should also have good educational qualification which is either a first degree from a recognized university. Alternately, a basic degree from a tertiary educational institution would suffice.